Provide comfort for the family of Robert Cerra with a meaningful gesture of sympathy. Robert L. Cerra, retired Massachusetts State Police Sergeant, Monday, April 08, 2019. Devoted husband of Mary Joyce (Flanagan) Cerra, father of Robert Reno Cerra and his wife Mary (Hamel), grandfather to Katherine Rose and Abigail Rita Cerra. Son of the late Reno L. and Grace (Gorgone) Cerra, and a longtime Big Brother to Christopher Fenton of Worcester. A lifelong resident of Newton, he was a graduate of Suffolk University and the Massachusetts State Police Academy, where he later served as a guest lecturer. During his career with the State Police, he was assigned to numerous barracks throughout the Commonwealth, as well as the investigative division of the State Police targeting Organized Crime. After his retirement in 1994 he was employed as a security investigator for several Boston area financial institutions, and later served as an Assistant Director of Security for the Massachusetts Transportation Department. A lifelong member of Corpus Christi-St. Bernard Parish, the St. Vincent De Paul Society, the Big Brother Association, the Boothbay Historical Society, the Early Industries Association, and the V-8 Club of America. He also served on the Board of Directors of the Massachusetts State Police Museum and Learning Center, and the Former Massachusetts State Troopers Association. A Mass of Christian Burial will be celebrated Saturday, April 13th at 10AM in St. Bernard Parish, 1523 Washington St. West Newton. Visiting hours will be Friday evening from 4-7PM in the Burke & Blackington Funeral Home, 1479 Washington St. West Newton. In lieu of flowers, donations to SPAM (State Police Association of Massachusetts) Benevolent Fund, 11 Beacon St. Suite 700, Boston, MA 02108 would be appreciated. 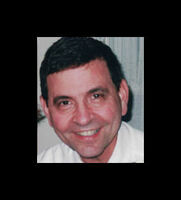 To plant a memorial tree in honor of Robert L. Cerra, please visit our Heartfelt Sympathies Store. May the family of Robert L. Cerra please accept my sincere condolences hoping you find comfort in God's words at Acts 24:15 and Psalm 37:29.